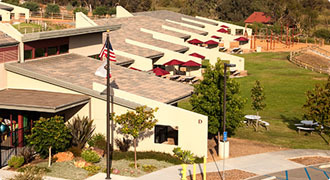 Encinitas Country Day School is dedicated to providing students in-school opportunities to explore the artist within. Research has shown that alternating left and right brained activity throughout the day, improves academic outcomes by providing important cross-brain exercise. Preschool, kindergarten and elementary students receive weekly music classes and find opportunities to explore the visual and performing arts within their classrooms and in the school’s performing and visual arts studios. 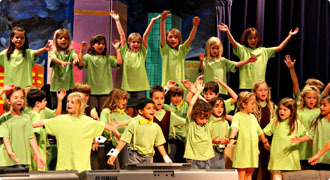 In addition, elementary students receive beginning musical theater training that prepares them for curriculum based presentations and performances as well as weekly visual arts classes in the Artist’s Studio. Middle School electives include more advanced visual, performing and multi-media class offerings to challenge and inspire students to bring their ideas to life. After-school and summer enrichment classes are available on campus in order to further broaden opportunities for students to pursue their individual interests in refining their artistic abilities. Students can refine their skills on a particular instrument, join the Glee Club, the Artist’s Studio, the School Band, sign up for after school or summer workshops offered by the Polestar* Performing Arts Academy or audition for an upcoming Polestar* Musical Theater Production. Every student at Encinitas Country Day School has an opportunity to learn music history, theory and practicum. Students develop their musical understanding through standards-aligned classes designed to provide a music foundation that will support their individual interest in music. Students display their evolving skills as they participate in school-wide holiday and end of year performances. Our youngest students receive ear training that includes singing in solfegio, scales, and note reading, along with singing, movement and playing orff instruments to practice their understanding of rhythm, tempo, interval, pitch, harmony, and beginning orchestration and performance skills. As abilities increase, students study musical notation and the work of various composers and the musical forms related to specific cultures. Students play keyboard, string, percussion and woodwind instruments. Music training techniques include a combination of Orff-Schulwerk, Kodaly, Yamaha and Suzuki music education approaches. Older students improvise, compose and play in student-organized ensembles. They work with music apps for technology-based music production and multi-media presentations. Our dance instructor provides production choreography for in-school music, glee and drama performances. 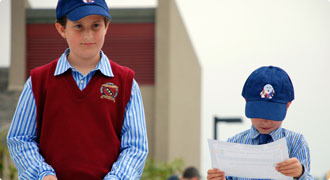 After-school and summer beginning, intermediate and advanced classes are offered throughout the year. Details are provided in the enrichment section of this website. Philosophy: In a typical traditional drama classroom, students are required to conform to sedentary techniques and learning is introduced part-to-whole and dependent on memorization. This forces the student to use the left brain short-term memory bank of the brain where knowledge is quickly lost without endless repetition. This stifles the more creative right side of the brain. In order for students to learn the skills that help them to expand their creative ability, they must develop their practical, intuitive and mental intelligences, using right-brained activities as taught through the use of dance (movement), drama, mental imaging (visualization), imagination and other artistic modalities. When this occurs, the students’ academic and social abilities are supported. Practical Application: Employing these techniques, concepts are presented whole-to-part (offering the “big picture” first), in much the same manner used in our Montessori classrooms. In this way, creativity flourishes and student abilities are enriched toward reaching full potential. The skills being taught within the ECDS drama program today assist Encinitas Country Day School’s faculty in further integrating the school’s character development values and understanding of emotional literacy. This rich program expands our arts program and provides opportunities for our students to broaden their understanding of themselves, and expand their abilities and interpersonal skills to maximize their creative and entrepreneurial potential, as will as enrich their attitudes about life. ECDS K-8 students visit the school’s Art Studio for weekly visual arts instruction. Classes include standards based lessons in art media, techniques, and art history. Throughout the school year, students learn and create in a relaxed, positive, studio environment. A walk through our Art Studio, classrooms and our annual Student Art Show, confirms our belief that there truly is an artist within every student.